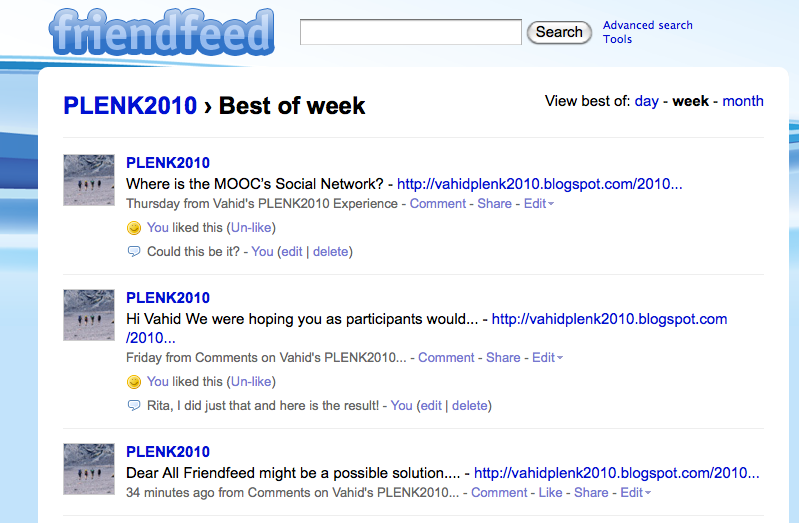 Friendfeed groups – a social network for PLENK2010? I saw that as a challenge, and thinking that Friendfeed might be the scaffold on which to build such an ad hoc social network — other possibilities, e.g. 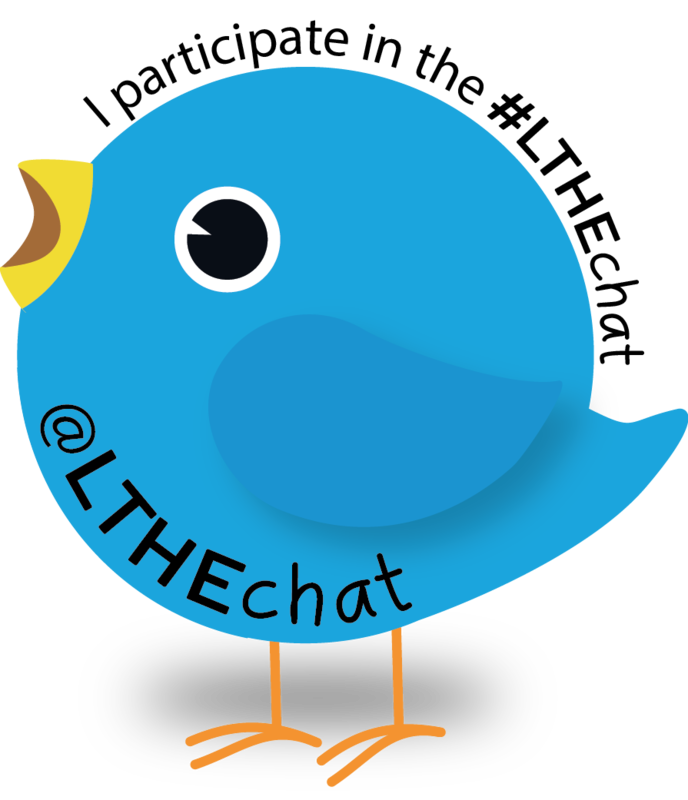 Ning or Elgg costing money or hosting to set up — I went ahead and created a public group. The URL is http://friendfeed.com/plenk2010: come on over and see what you think. Previous Previous post: PLENK2010 – It’s a Marathon not a Sprint!